Yes, the bottle got me, I will freely admit that. Come on, look at how amazing every detail is! The wire netting, the fonts, and the goat sealed the deal. Plus I knew what was inside would be equally as stellar as this bottle is imported by my friends who are customers of WK at Peloton Imports. I have been searching for more wine options to share on Wine Wednesday that can be enjoyed by many as they ship so you can just click on the link at the end of the entry if you end up not finding this tasty Chardonnay in your neighborhood grocer or wine shop. From their site: Albert Ponnelle is an estate and a negociant with deep roots in Burgundy. Pierre-Lazare Ponnelle founded the business in Beaune in 1870, and today the estate is run by Pierre Ponnelle, the fifth generation of the family to take the helm. 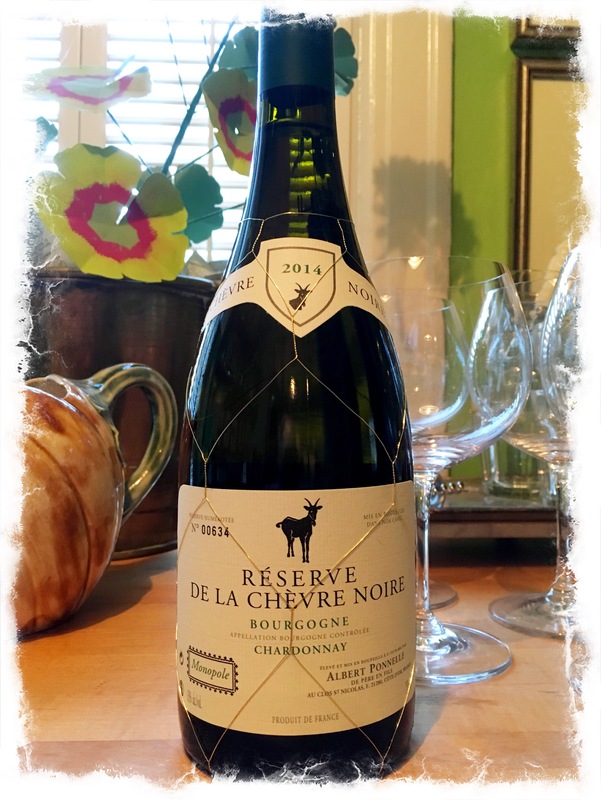 The Bourgogne Réserve de la Chèvre Noire wines come from the Cote de Beaune and Cote de Nuits. They are partly aged in oak barrels. The names of the wines are an affectionate nod to an old regional tale about a famous black goat who was known for drifting from the herd to snack on choice grapes in the best vineyards. Each year Albert Ponnelle creates a Chardonnay and a Pinot Noir under the Chèvre Noir label as an homage to the black goat with a connoisseur’s taste. Yes, I will fully admit, I was completely taken in by the graphics on the bottle at first glance and was a bit smitten. Then I was sold when the helpful wine gentleman at Bert’s noticed me looking at it and said it was a spectacular Chardonnay and fabulous for the money, one of his favorites. Sold! Stellar inside and out. Had it with a chicken dish and it was just perfect. This wine is a blend of Russian River Valley vineyards from the heart of Russian River Valley to the Western Edges of Green Valley touching Sonoma Coast. The variety of growing sites adds layers of ripeness, fruit flavors and complexity. This is 100% Chardonnay. Pronounced lemon citrus core with tree fruits of pear and crisp apple lined with a floral note of jasmine. Citrus and tree fruits are complemented by a hint of brioche and toast. A round, elegant mouth feel with perfect balance leads to a lingering finish with a touch of minerality. Pairs well with shellfish, cream sauces, roasted chicken, fish, and zesty grilled vegetable dishes as well as mild gouda and other soft cheeses. 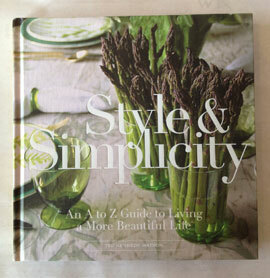 Yes, I will admit it, the A to Z caught my eye right off the bat. 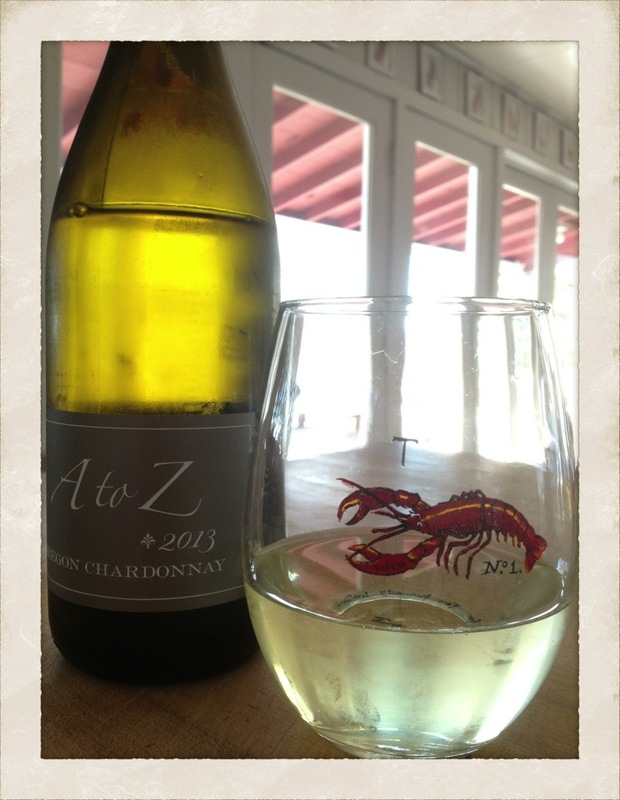 And yes, sometimes a simple Chardonnay is just what is needed with a simple piece of fish. Ahhhh, simple pleasures. Tuna steaks were on the dinner menu at WestWard the other evening, and this bottle caught my eye at the grocer. It ended up being perfect with dinner as well as a glass while I read my book by the fire after. Plays well with food and solo–a true test for many/most wines in my book. With lots of outside entertaining on the horizon, we really like to find a few affordable whites to have around to serve when we have guests. 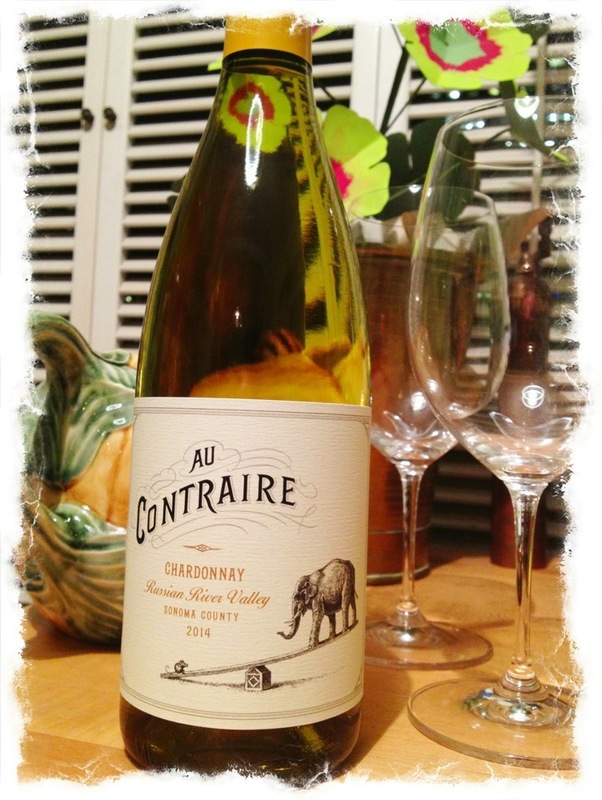 This Wine Wednesday find is new for us this year, and I am liking it quite a bit. This is 100% Chardonnay. Some Chard can be too sweet for my taste, while I prefer it to be dry. One of the reviews I read called it taut and sharply focused. Wine reviews make me chuckle. All that aside, this is seriously tasty white that is nice solo or lovely with Summery food. At 14 bucks or less a bottle, it hits all the winning points for a wine to serve for large gatherings or small. A word about my Wine Wednesday posts. One of my more frequently asked questions via e-mail after I write about a wine is where to get it. Since folks are reading from both near and far, sadly I don’t always have an answer for the query. We buy our wine from small independent wine shops, as well as at the grocery store. My suggestion is to get friendly with the wine buyer where you like to shop. Many times they will order bottles I have been on the hunt for, even if it is not something they stock. The key is that the wine you are looking for is carried by a distributor that the establishment works with. If you still come up dry, Google the wine, and it should give you locations to get the wine. Or at the very least who sells that type of wine that will ship it. I hope that helps on hunting down some of the Wine Wednesday selections. Happy almost officially Summer!